5 Milk Makeup Products I Want to Try | Top Beauty Blog in the Philippines covering Makeup Reviews, Swatches, Skincare and More! 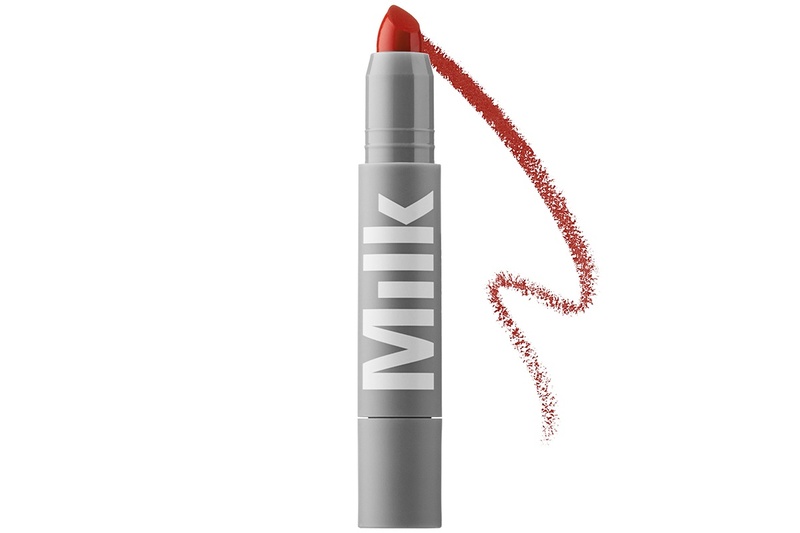 Designed by industry insiders of Milk, a cultural hub in New York and Los Angeles, Milk's multi-functional, high-tech, low maintenance beauty line is for girls who spend less time getting done up and more time getting stuff done. Using only the best quality natural ingredients and easy packaging for one-step application, their products allow you to choose from bold to bare shades for a totally new take on makeup. I don't know about you guys but I am so curious to know how this brand's products perform. I also really like how cool and easy the vibe of this brand is. From the packaging to concept of their products – everything is just so on point. If you are looking for a makeup brand that's paraben-free, eco-conscious and cruelty-free I think you guys need to give this brand a try. Swipe this highlighter on any skintone and wherever you want to create a prismatic look. Use Holographic Stick on cheeks, eyes, lips, and body. This multi-use stick provides a prismatic glow for an out of this world holographic effect. It's loaded with meteorite powder and twilight pearls that create a prismatic finish. 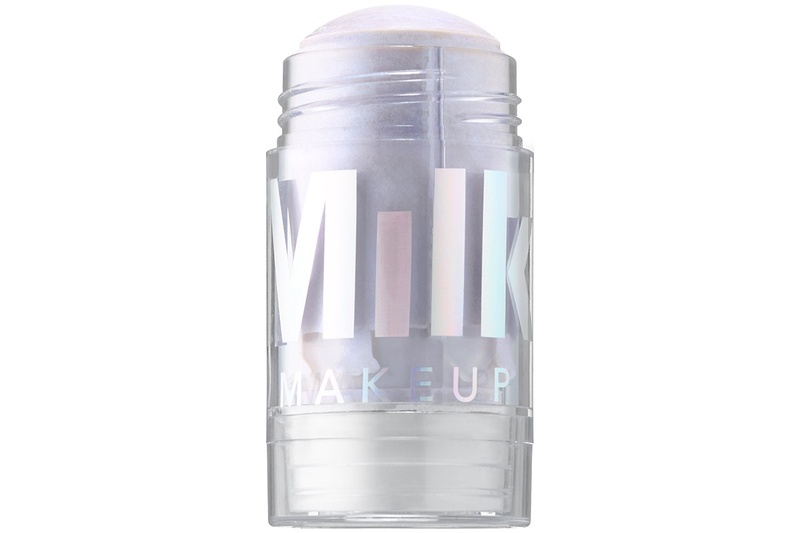 Formulated with Milk Melt Technology this Holographic Stick instantly glides and blends into skin. Infused with mango butter, peach nectar, and avocado oil for lasting hydration. Just apply onto bare skin or over makeup. Roll and blend your way to radiant happy skin. With its ultra-fresh formula, this liquid foundation offers coverage that is weightless, natural-looking, radiant, and buildable, while providing SPF 30. Infused with a blend of avocado, mandarin, grapeseed, and olive oils, Sunshine Skin Tint delivers ultimate nourishment and hydration that leaves skin feeling fresh and light. The glass rollerball applicator glides onto skin for quick, mess-free, on-the-go use, and no brushes are needed. 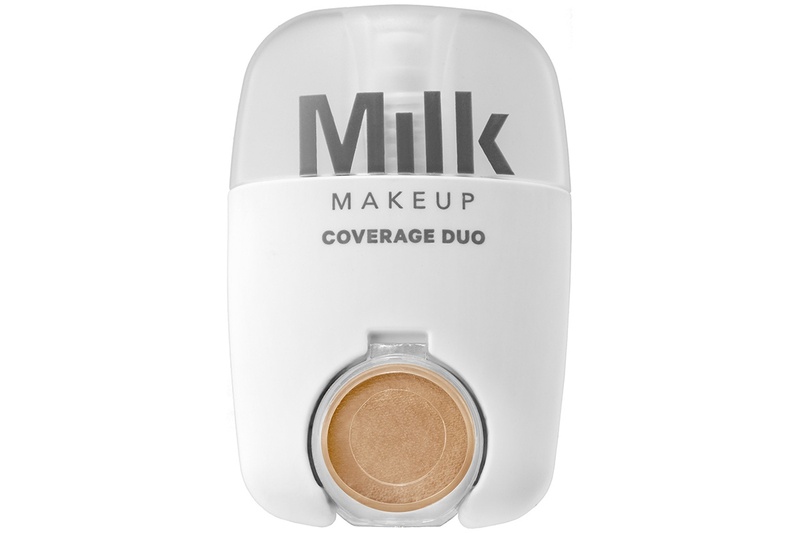 Coverage Duo can be used anywhere for smooth, hydrating full coverage. The mini, built-in pot of brightening marshmallow concealer is ideal for hiding dark spots and blemishes while lightening up the undereye area, or use it as a makeup primer. It pops out easily for travel, never creases or flakes, and it has a long-lasting formula with a creamy, velvety texture. Both concealers are infused with coconut oil to help repair skin and mango, ginkgo biloba, and ginseng soothe while vitamins A and E act as anti-inflammatory emollients to protect against free radical damage. This bold demi-matte Lip Color bathes lips in hydration for comfortable all day wear. A pigment level of 30 percent ensures one-swipe coverage and super intense color payoff with no base required. Shea butter, coconut oils, and grapefruit peel oils soften lips and boost moisture. Meanwhile, Milk Melt Technology matches body temperature for instant glide and a second skin feel. 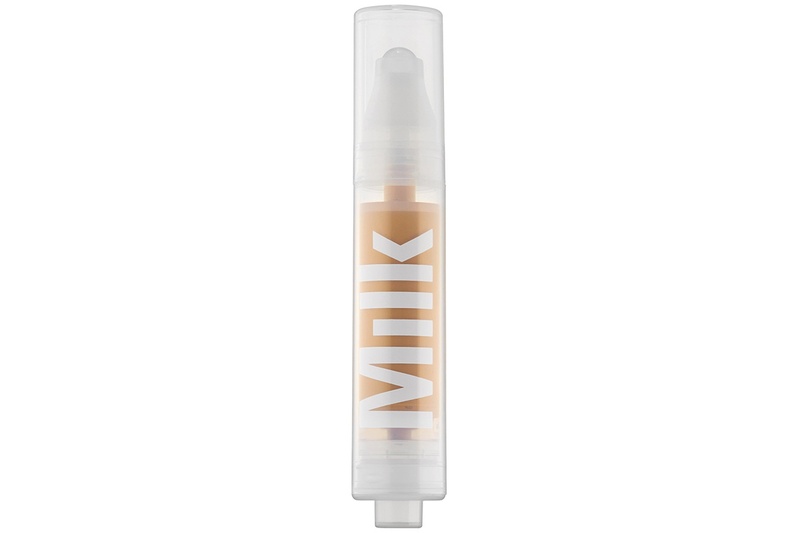 Bring a pop of color to your look with Milk Makeup’s long-wearing Eye Pigment. It gives you tenacious color with a soft, silky texture, drying on quickly without creasing. Create a dimensional, long-lasting look that’s as refined or rebellious as you want — layer to intensify. Easily blendable, this shadow is perfect for giving lids a vibrant touch of color for everyday looks. Have you guys tried their products? Let me know what you think of this brand. I would love to hear your thoughts. this brand sounds awesome! can't wait to read the reviews when you get your hands on them! I haven't tried any of the products, but they sound pretty insane and cool. I was just looking at their products at Sephora today but I couldn't make up my mind on what to get. Gostei de conhecer esses produtos, parecem ótimos. never heard or have seen this brand! thanks for sharing.. i really like their packaging! Never heard of the brand but the product looks great... Shall try it.. I don't know these products, but they look great. I have picked up a few Milk and shared them on the blog before. Nice. Thanks for introducing such an interesting brand! Great brand and products. I love the lipstick. I want to try them out too.